Runnababez Team finishes in a close 2nd place, @XC Kickoff! The Runnababez ran like badgers do, fast and rabid on the Forest Park Cross Country course today. They were able to finish 2nd as a team overall, that included high-school runners, Big River Running, and several D1 college teams. 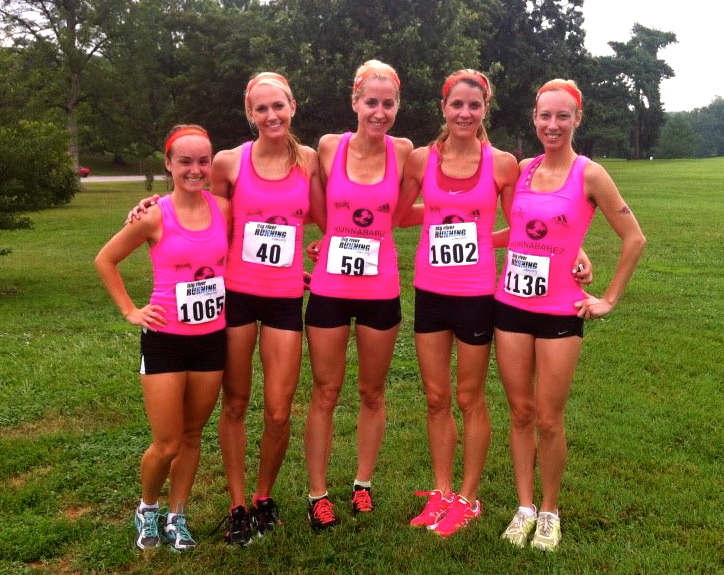 Cheryl & Lisa went 4 & 5 , Amanda 11th, Carine 14th & Lauren Hubbard 19th as all 5 team mates placed in the top 20 overall, covering the muddy hilly grass course on humid morning in Forest Park. 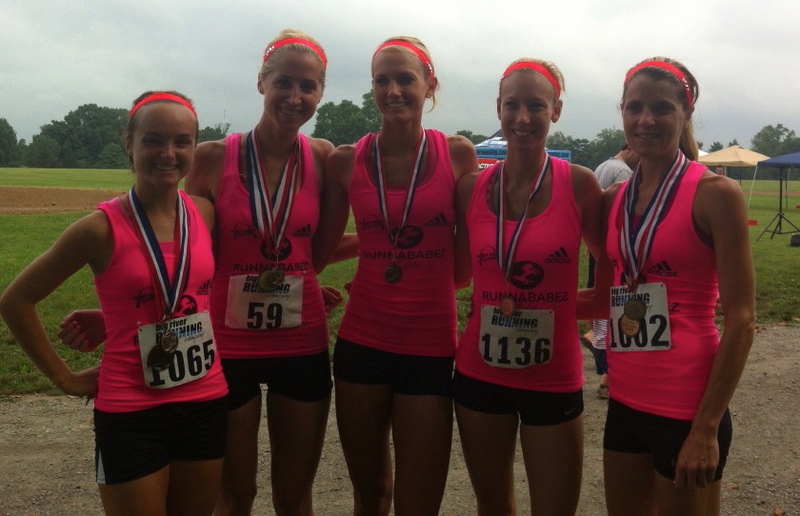 3rd Place team, was a group of NCAA D1 runners. Not too shabby since half the ladies are in heavy training for fall races, and they were missing a key competitor, Jackie Pirtle-Hall, a newly minted Mama to baby Gwyneth. ← Runnababez Welcomes Carine Rossouw & Cheryl Held ~!